Residency offers luxury at an affordable price, located on a hill top overlooking,The quaint Munnar Town. 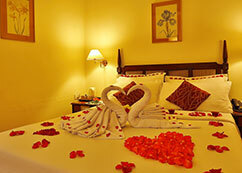 Our packages are specially designed to make your stay memorable. 4. Traditional Kerala ayurvedic massage with medicated steam bath (60 mts)one time.